It’s not unusual for an egregious selfie to go viral, but it is rare for a selfie to go viral without the actual selfie. That speaks volumes to the shocking (and inarguably unethical) nature of this particular selfie. Absent of any visual evidence, the description alone prompted the likes of the Associated Press, ABC News, the Washington Post, and yes, Gizmodo to cover the news. The photo was reportedly taken during a 2017 DePuy Synthes Future Leaders Workshop at Yale University. Dr. Flavio Uribe of UConn was using the cadaver heads to show students how to place screws during surgery. “Somebody unfortunately took a photo,” Uribe told the Associated Press. “It was so quick. I wasn’t sure of the surroundings or scenery at that point.” The University of Connecticut directed us to the Associated Press article for its statement. Yale spokesman Thomas Conroy told Gizmodo in an email that there are signs at every entrance to the lab which indicate that photography is not allowed. 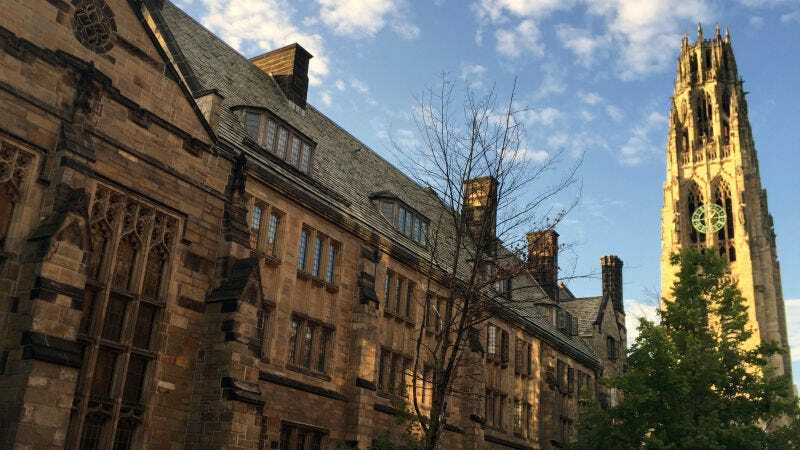 “The photograph taken at a symposium held by DePiuy Synthes was disturbing and an inexcusable deviation from anything Yale would expect to occur,” Conroy said in a statement. “Yale is developing a centralized coordinating function to ensure adequate oversight is provided for use of anatomical parts in any training at the school, whether it is conducted by Yale or, as in this case, someone else” he added. Conroy noted that the symposium, hosted by Depuy Synthes—orthopaedic and neurosurgery companies owned by Johnson & Johnson—is not a Yale program, and that the cadavers were not donated to Yale. The space was leased by DePuy Synthes. Caplan noted that the motive behind the selfie is not inherently malicious or invasive—the students might have wanted to capture a visual of how they train, perhaps to show to a parent or other students, but that ultimately “it doesn’t matter” because they don’t have consent. What’s more, taking photos with identifiable cadaver parts, such as the head, could potentially offend family or survivors of the donor. It’s also disrespectful to the donor of the tissue. And it’s also a disservice to organ donation, discouraging people from wanting to donate in the first place. “It really could impact willingness of people to participate in body part donation in the future,” Caplan said. We have reached out to Uribe, and we will update if he responds.